The 12 gauge is beat by no other gauge in popularity and efficacy. With its incredible power and fairly manageable kick, it tops the shotgun market in nearly every aspect. Not only is the 12 gauge at the top of its field, Winchester too, is one of the most reliable and popular ammunition providers in the world. Since 1855, Winchester has been putting out some of the most innovative ammunition and firearms in America's history. 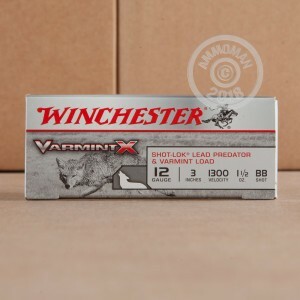 These Varmint-X shells are a fine example of the innovation and quality Winchester is known for. 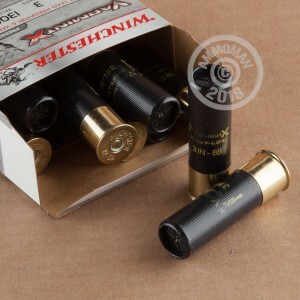 These 3", 1 1/2 ounce, BB shot shells provide just the weight and power you need to eliminate those pesky varmints that are all around your home.